After backpacking thru Brazil in early 2011, I decided to see more of South America. For years I have been fascinated by this continent, but never actually planned to really go. Next to traveling, a major hobby of mine is riding my motorbike. In the past I have traveled the North Cape in Scandinavia on my motorbike and even further back in time, half of Australia has seen me on my bike. 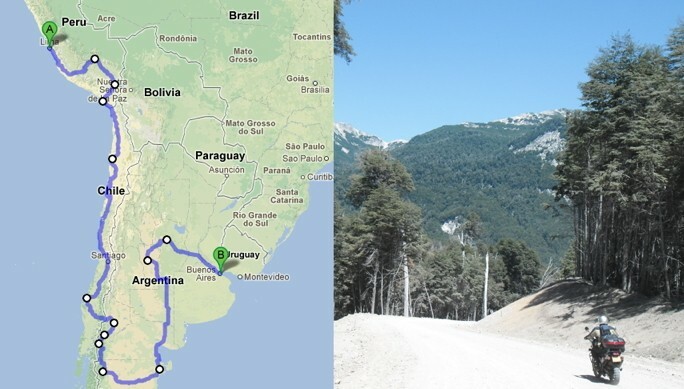 Inspired by many other travel blogs of “motortrotters, I decided to combine the 2 hobbies and ship my motorbike to Peru, from where I plan to travel through Bolivia and Chile to conclude the journey in Argentina. This blog will reflect my experience of traveling this beautiful continent on 2 wheels.